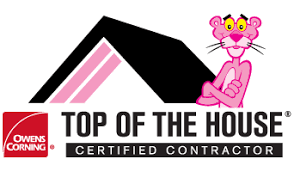 Top of the House Certified: These independent roofing contractors have been specially trained on how roofing, ventilation and attic insulation work together to improve your home's energy efficiency and comfort. With more than 450 branches in 44 states, ABC Supply Co., Inc. has been the largest wholesale distributor of roofing in the United States and one of the nation's largest distributors of siding, windows, select exterior building products, tools, and related supplies since its beginning in 1982. Founded in 1997, DaVinci Roofscapes is a family owned business dedicated to the manufacturing of durable & maintenance-free roofing products that are aesthetically pleasing. For over a century, Firestone has been a world-wide recognized manufacturer. They are devoted to developing eco-friendly products while providing services & support for their clients. The Hydro-Stop roofing system was developed and thoroughly tested to sustain the life of your building. By exceeding the highest roofing standards and working side by side with contractors, Hydro-Stop is leading the waterproofing industry with the highest quality products. Establish in 1978, IB is leading the industry with high-performance PVC membranes and roofing systems for commercial and residential building properties. Mueller was established over 85 years ago and is one of today's leading manufacturers of pre-engineered metal buildings and metal roofing products. They are located in Ballinger, Texas and serve the entire Central and Southwest United States. TruSlate is a Premium Roofing System line from the leading manufacturer, GAF. The roofing system is made out of slate which is extremely durable and aesthetically pleasing.